Do it yourself laser hair removal... Unhappy medical spas? 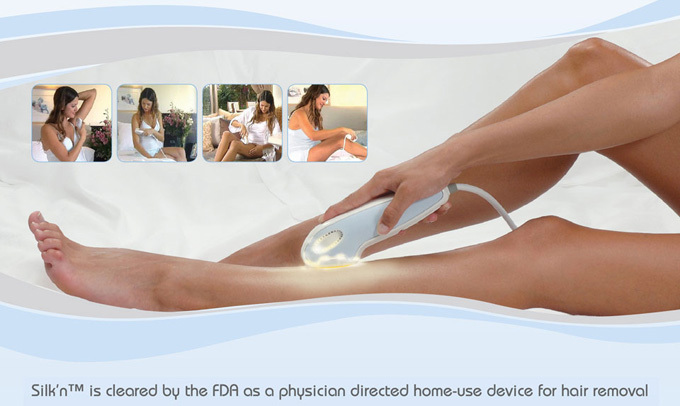 The're are a growing number of 'home laser hair removal' devices appearing on the market. This article on do it yourself laser hair removal supposes that medical spas and laser clinics are feeling the heat. Want to get rid of some unsightly hair, but don’t want to spend the big bucks for electrolysis or a laser clinic? Now, you can buy your own laser and do it yourself. The growth of the at-home cosmetic-device market, which includes personal lasers, has some professionals buzzing. At an annual conference hosted by the American Society of Plastic Surgeons, Barry DiBernardo, a New Jersey surgeon, delivered a talk in Seattle about the pros and cons of the DIY market on the ASPS’s “Hot Topics” panel. New cosmetic medical devices including DIY lasers are expected to explode into a $1.3 billion market 2013, up from just $296 million in 2008, according to the analyst group Medical Insights. The growth in the market appears to be coming from light-based products that claim to either remove or grow hair on the human body. The Silk’n Hair was the first at-home laser device to be approved by the FDA, in 2006, although it didn’t come on the market until early 2008. My own experience is that people looking to do it yourself home laser hair removal (or skin tightening or complexion light-based photo-therapies) are really looking to save money and are buying a device in the hope that it will work. Patients who are actually interested in laser hair removal or skin tightening are put off by these types of home remedies. I've never heard that a laser clinc or medical spa is suffering from this, but I may be wrong. Does anyone running a medical spa or laser hair removal clinc feel differently? Is laser hair removal at a medspa moving to home laser hair remvoal that a do it yourself laser treatment?